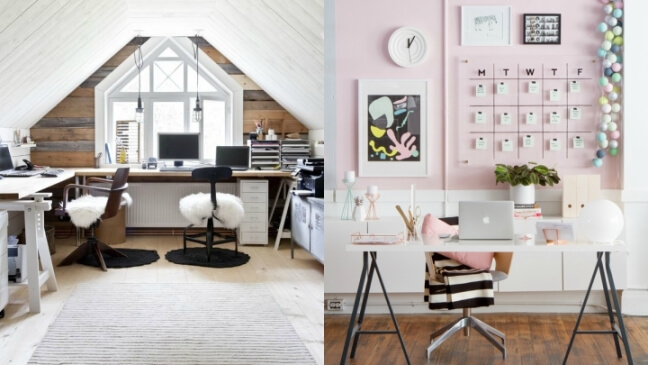 Do you work from home and like to have a personalized and charming work area? The decoration of your office is important, especially to attract creativity and maintain concentration. Today we are going to focus on one of the main elements of this space: the desk. That is where you spend most of your time and, for this reason, we must pay special attention. I tell you some ideas to decorate it in a comfortable, functional and inspiring way. I tell you to sit on your desk you have to put your brain to work. Whatever your profession, the place where you develop your daily work is very important for productivity. The first idea that I bring to you is to personalize this space so that you feel it as yours. Leave at a glance any photograph that motivates you, a phrase, some important object for you… Always without saturating or passing, because it is not about creating a workspace with too many elements around it. The right and necessary to help you feel great when you get down to work. Maintaining order in your desk is essential for the workplace to become a pleasant space. Place files and boxes on your desk that allow you to have the most frequently needed papers and utensils on hand. With the appropriate storage systems you will be able to design a functional and perfectly decorated desk, since these boxes also allow a very personal customization. You can opt for some natural wood and leave them as they are or paint them, or buy them with some pattern… You can also play with the sizes and place the file cabinets on the table or on the sides… How many options are there! Okay, there may be people who perform their daily work comfortably in the mess, but it is not really beneficial for productivity. The lighting of your desk is one of the most important aspects. If you have natural light, make the most of it. In addition, place a lamp on your desk to give timely lighting when necessary. According to Feng Shui, the best thing will be that natural light comes to you from the side of the table and not directly. In addition, both natural and artificial should be as warm as possible. The plants are great work companions. If your office has natural light do not hesitate to place any of them on your desk. They manage to create an environment where relaxation is favored. In addition, they purify the air and help reduce the emissions of the computer and other electronic elements. The cactus, ferns, ficus and dracaenas are very interesting alternatives when it comes to getting rid of bad energies in the office. Also, I remember this post where we saw some of the best plants for your area of ​​work . 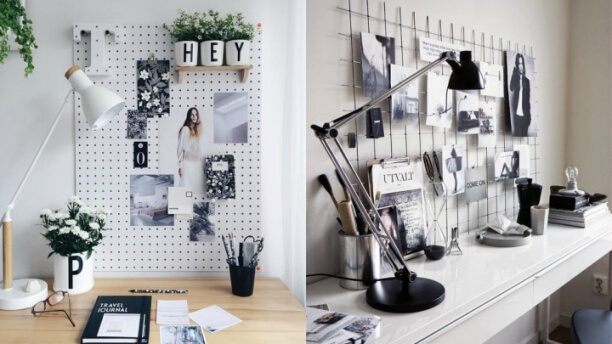 So you can find the inspiration required to decorate your desk, I leave you with a selection of several of them where you will see different ideas to turn it into a personalized, orderly space that favors concentration.